Redundant title aside, I believe. I believe in these places because the world is incredible. I’ve been lucky enough to see so many places that made me question my own eyes. I’m sharing this video because of its incredible beauty, and because it’s a meditation. No narrator counting down to 1 in a booming voice. Just photos and music. Put it on full screen mode, turn the volume up and zen out for a few minutes. This is not a Monty Python bit. This is real. And it's why I love the world and people and crazy ideas and competition and, yes, cheese. Achmad Zulkarnain is a professional photographer telling the story of Indonesia from his own unique perspective. I am so inspired by his story, and hope you will be too. I have never traveled with Ida Keeling, but I have traveled with people like her many times over. Whether it was on a hike with an 90-year-old retired teacher in the Galapagos or paddling in Mexico with an 84-year-old grandfather of "jeez, is it 18 now?" who was kayaking for the first time, I've been able to see the power in people pushing against the aging process. Ida is a similar inspiration. One that takes that Churchill quote above to its highest heights. My takeaway isn't that someone can be a 102-year-old track star and world record holder (though that is of course unbelievable!). 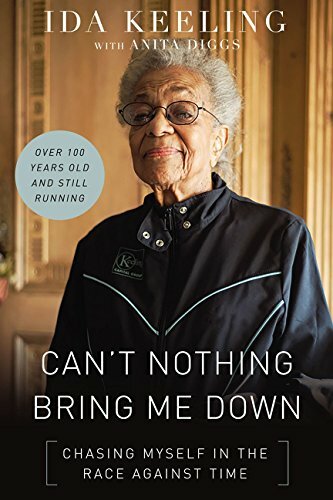 It's that she worked her tail off as a single mother, experienced devastating personal losses, and was suffering from depression at 67 years-old when her daughter (a track and field coach) encouraged her to participate in a 5K. From there, her will and choices made every day have made her healthier, happier, and have taken her around the world. We can't plan to be running at 102 years old. But we can choose to be active today, tomorrow and the next day and see where it leads us. Go for a walk (in nature if possible! ), a hike, a run, a swim--whatever activity makes you feel best. Just look at the video screen shot below. How can you not love this woman and all that she embodies? She got there one day at a time. As she says in this Runner's World interview, "Every day is another day forward." Ida has a new book out too! I just added it to my list. The UN's 2018 World Happiness Report is out. Here's the roundup of the Top 10. How do you feel about this list? And happiness reports in general? If you want to dig into the full 172-page report, here it is. If not, click below for the top 10 snapshot. I'm not sure if this will inspire you to get out and learn more about insects or keep you shuttered in your home. I hope the former. For me, you can't go wrong with a documentary about some of the most amazing creatures on the planet complete with solid macro and time lapse shots, AND a narrator with a British accent! What? NatGeo Captures Footage of a Snow-Covered Rome. Making a magical place even more magical.